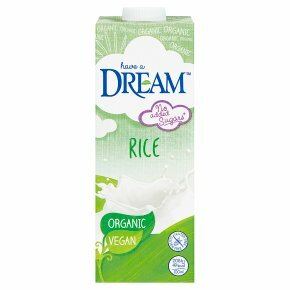 Organic Non-dairy Rice drink alternative to milk. Organic. UHT processed. Lactose, dairy gluten and wheat free. Suitable for vegetarians, vegans and kosher diets.No added sugars* *With no added sugars - contains naturally occurring sugars.